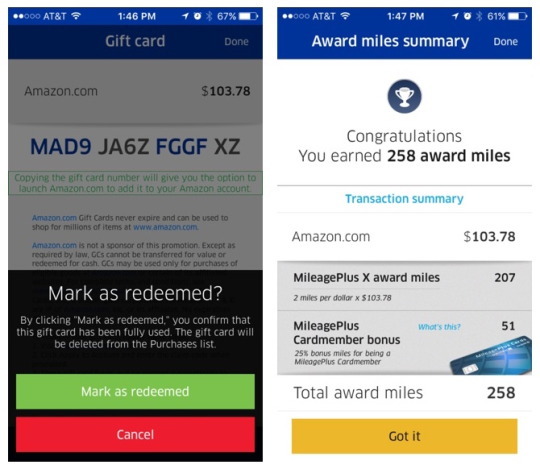 TL,DR: Use the United MileagePlus X app (iOS, Android) to earn an extra 2 miles (2.25 if you’re a MileagePlus cardholder) when shopping on Amazon. First, you’ll need to download the United MileagePlus X app (iOS, Android). Setup the app by logging in to your United MileagePlus account. If you don’t have a United MileagePlus number, sign up here. 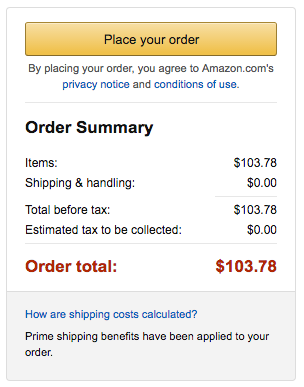 Shop around on Amazon, and when you’re ready to checkout, take note of the total cost. In the app, select Amazon. Enter the total purchase price to purchase an electronic gift card for that amount, then enter the gift code as your payment method. (Because you are purchasing these items with a gift card, the purchase is subject to the merchant’s policies and credit card benefits are not applicable.) 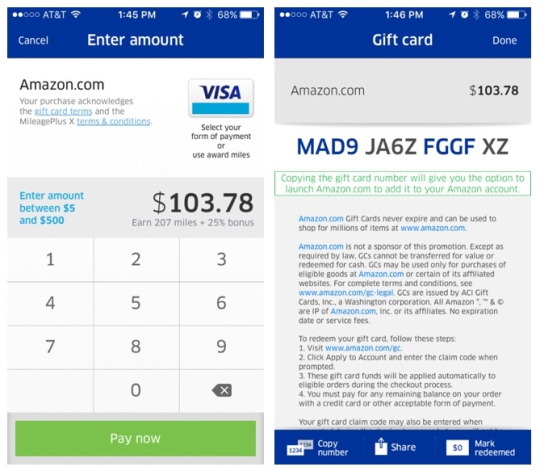 After pressing “Pay now”, you’ll receive a gift code which you can then use as your payment method on Amazon. When you complete your order, mark your gift card as redeemed. Once redeemed, you’ll see how many United miles you earned for your purchase. Which means I’ll earn 1 Chase Ultimate Reward point per dollar spent. If I had the new Chase Freedom Unlimited card, I’d earn 1.5 UR points / dollar. I think the few extra steps are worth it for the bonus miles. The only downside is that the purchases will no longer be covered by your credit card’s benefits. What do you think? Will you use the app to get extra United miles?